Human Resources has long been relegated to back-office status, perceived by many executives as a basic operational function focused on paperwork and personnel matters not worthy of much C-suite attention. Today, those attitudes are shifting as HR takes a seat at the decision-making table. Armed with better metrics and analytics, HR executives are playing a critical role in determining organizational priorities. Perhaps more importantly, HR is deeply involved in how those goals can be achieved via key HR functions, including hiring, training, leadership development, and succession planning. Modern HR is taking a seat at the C-Suite table. As HR’s role evolves, so should an organization’s decisions about where to focus internal HR resources. Outsourcing certain HR functions allows for more focus on strategy, measures, and outcomes. Having realized that there are core analytics that will provide a clear indication of performance, HR executives are slowly embracing evidence-based results, developing KPIs and other metrics that quantify the impact of core functions. These measures are moving beyond standard the HR measures such as days to hire, acceptances/offers ratios, and retention rates. The challenge has been to identify what advanced metrics best illustrate the health, strengths, and opportunities within an HR department. HR teams are still only gingerly dipping toes into the data waters. A 2015 study by KPMG showed that 55 percent of executives were skeptical of using evidence-based metrics in HR. Yet the same survey showed that 49 percent believed HR leaders could correlate people management activity and business outcomes. Succession Planning. Using data on retention, leadership development programs, mentoring and training, HR leaders can measure the internal readiness for anticipated future leadership. Leveraging the data, HR can adjust or develop training and recruitment programs tailored for areas of need. Employee Engagement. This measure may still be elusive for some, but there is little question that engaged employees are more productive, more dedicated, and more apt to be better ambassadors. Employee engagement measures are crucial for objectives related to brand identity and marketing. Workforce Mobility. Technologies, digital disruption and global demand are having dramatic effects on business models. As companies evolve, they need agile workforces. HR can play a critical role in determining … and measuring … the skills needed for greater agility. As HR evolves, companies need to take a closer look at which HR functions should remain internal and which should be outsourced. Strategic functions such as recruitment, employee development, leadership planning will likely take on a growing role. Time- and labor-intensive administrative functions are a logical choice for outsourcing. So, too, are regulatory functions related to areas that are ever-evolving, such as tax and insurance coverage requirements. Investing in key partnerships with HR experts in these areas gives companies greater latitude to transform the internal HR functions, allowing internal staff to focus on strategies, measures, outcomes, and impact. 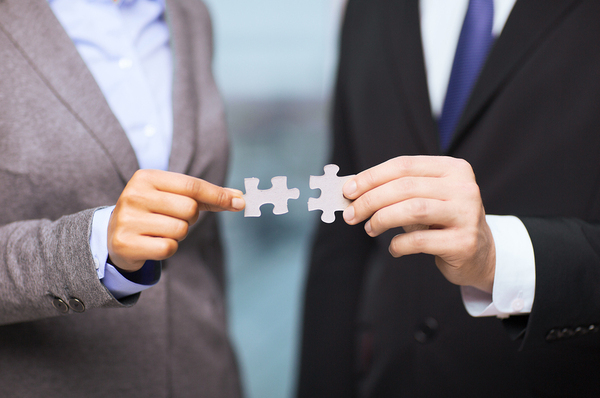 Outsourcing some HR functions may provide the missing piece in your current HR strategy. With the advent of more easy-to-use and secure cloud-based functions, outsourced HR administrative tasks are safe and increasingly user-friendly. Shifting employee trends, including the growing reliance on freelancers and consultants, leads to more payroll and regulatory complexity that can eat up considerable staff resources. Outsourcing HR in these areas eases the load of your internal staff considerably. Outsourcing also reduces internal risk for noncompliance or errors by shifting those functions to external experts adept at managing multi-site, multi-state, or multi-national organizations. The ever-evolving growth of HR as a strategic contributor will create increasing pressure on companies to consider outsourcing. For more information on the advantages of HR outsourcing, contact The Lindenberger Group. Some HR functions being outsourced would mean these tasks are being handled by the people who center on this workload thus ensuring you of properly carried out tasks as well as make things efficient and provides reliable reports for decision-making purposes.